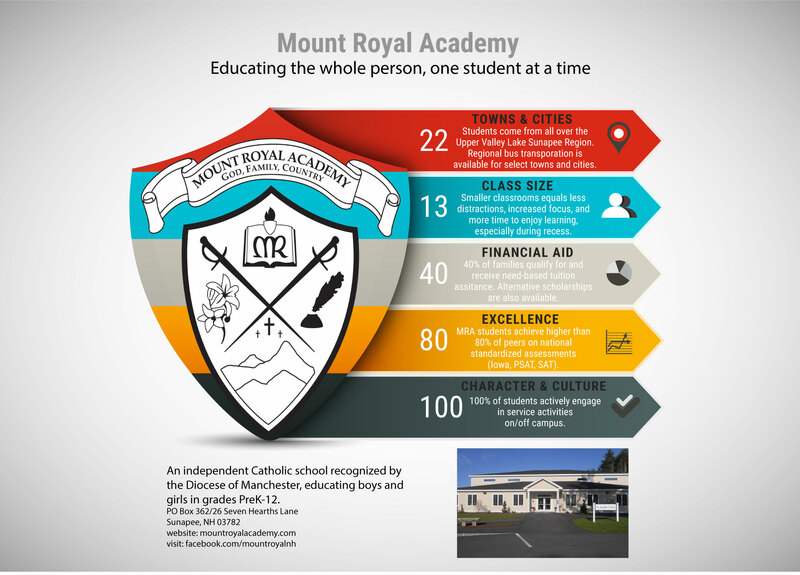 To best understand the mission and identity of Mount Royal Academy it is strongly recommended that any interested persons contact the Academy and schedule a visit. 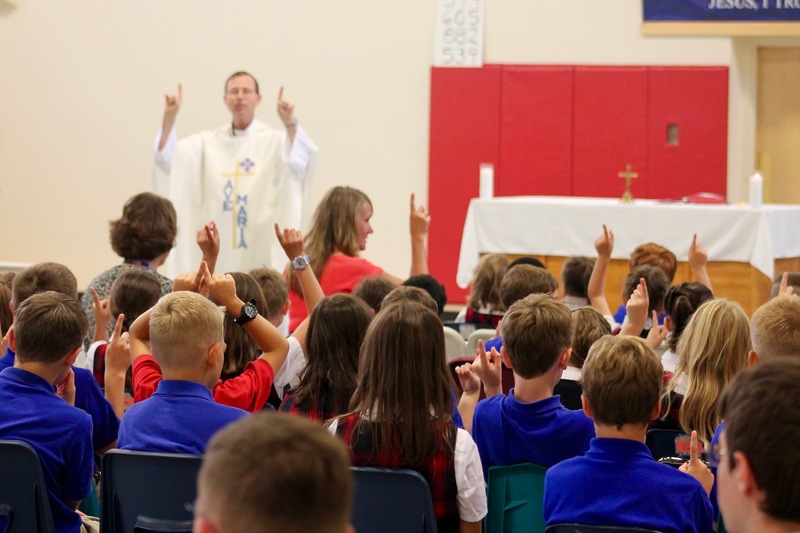 We sincerely believe and hope that, after seeing our school building, observing classes, and meeting with current students, any family looking for a school that is committed to excellence in education will be excited to enroll their children. The first step in the admissions process is when the family contacts the school via phone or email. Upon request the family receives an admission packet which includes general information about the school, a tuition schedule, and an application. We welcome families to come and see for themselves the important work that takes place at the Academy every day. 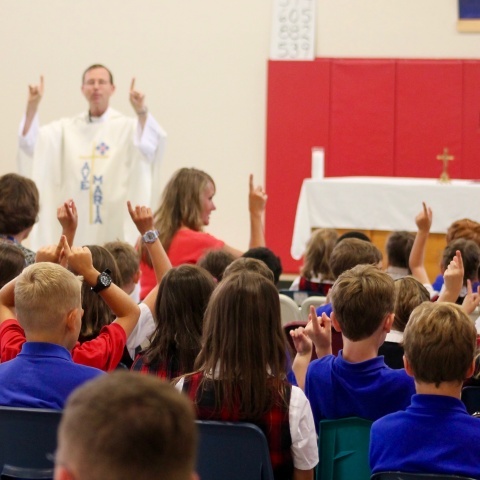 During this visit, parents are encouraged to sit in on classes, talk with the teachers and staff, and see first hand the successful learning that takes place at Mount Royal Academy. During their visit, Families meet with the Admissions Director or the Headmaster who will guide them through the enrollment process. The application can be completed Apply Online, and the remaining documents are sent to the Admissions Director. The application fee of $50 is submitted to the main office. Students applying for 1st grade through High School then schedule an entrance exam to be reviewed prior to acceptance. Student is either accepted, placed on the waiting list, or denied acceptance. Registration Forms (for students who have been accepted) completed online. Students wishing to transfer during the current school year are welcome to apply. For more information regarding our application process please call our Admissions Director, Mr. Matt McMenaman, at 763-9010 or by email at mmcmenaman@mountroyalacademy.com.